A Nashville court has granted a request by Curb Records to postpone the upcoming breach of contract trial between the label and Tim McGraw. The legal dispute concerns McGraw’s contractual obligations to Curb Records, which the label maintains he has yet to fulfill. McGraw has already moved on, announcing in May that he has signed with Big Machine Records and is recording a new album. Originally slated for July, the trial date will be postponed until Curb Records “has the opportunity to take additional evidence surrounding Big Machine Records’ signing of Tim and when the 20 recordings Big Machine says it will release were made,” according to a press release from the label. In late 2011 Curb requested an injunction barring McGraw from signing with any other labels until the dispute was settled, which was denied by a Nashville judge. The press release from Curb claims that, since the breach of contract lawsuit has yet to be settled, the “20 recordings” made for Big Machine actually belong to Curb. Big Machine declined comment on the matter. Billboard’s Ray Waddell has a comprehensive examination of the case here. Despite the legal fracas, Curb Records released Emotional Traffic in January 2012. The album’s second single “Right Back Atcha Babe,” is already impacting country radio. 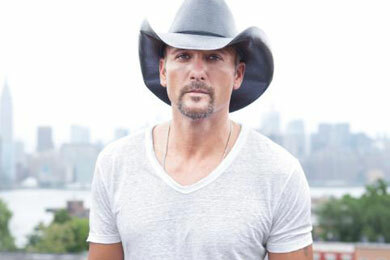 At the same time, McGraw is preparing for the release of “Truck Yeah,” his debut single as a Big Machine recording artist.